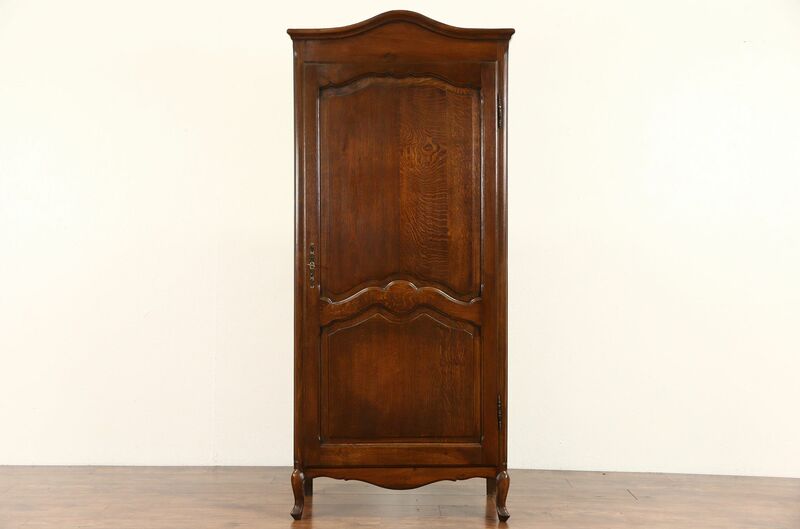 An authentic Country French armoire, wardrobe or closet from the 1930's is solid fine grained oak. The renewed finish is in excellent condition on this vintage furniture from France. The door has raised shaped panels and a working lock. Inside is a closet pole, shelves could be added if desired, interior depth is 16." Measurements are 33" wide at the crown, 18" deep and 73 1/2" tall.